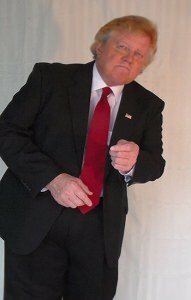 Donald Trump Celebrity Look Alike Impersonator, doubles for any corporate party, Commercial, video shoot, private event. Donald Trump impersonator, lookalike available to work in Los Angeles and New York City, Orlando, San Francisco, Las Vegas Lookalike, Dallas, Atlanta , Washington DC, Detroit, Boston, New York and New Jersey, nationwide and world wide Donald Trump impersonators, L.A., Chicago impersonators , San Diego. 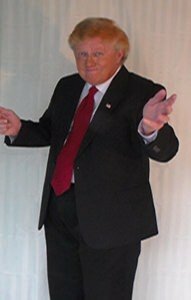 Donald Trump as a serious impersonator, or use Donald Trump impersonator Florida for red carpet interviews, or Hollywood theme events that “The Donald” impersonator/lookalike will attend. This Donald Trump lookalike/impersonator, double, looks and sounds like the real deal and can be Donald Trump from The Apprentice Show. 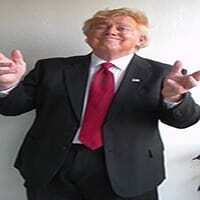 Donald Trump lookalike- impersonator will make them laugh corporate comedy. Extremely experienced Donald Trump impersonators, look-alikes, doubles. Donald Trump impersonator/double is great at meet and greet with clients for photos and/or talking and acting like Donald Trump. A great comedy show, meet and greet and photo opts. He always is a big hit…..make your event great again. 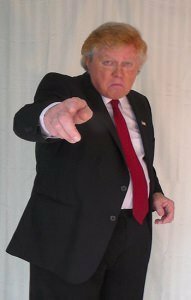 Donald Trump Celebrity Look Alike Impersonator is a seasoned entertainer and ready to make your next event the best ever. Donald never disappoints.